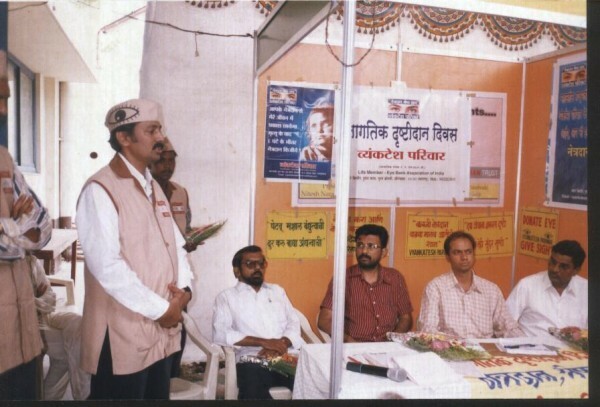 Eye donation camp at Virgaon,Tq. Vaijapur,Dist. Aurangabad. Here 100 eye donation pledge forms were taken. Project was taken by Mr. Santosh Jadhav. Here we distributed more than 2000 pamphlets. Oh! What a miracle! Did vision really came by the donated eyes? Yeah, Vision came by Eye donation to Master Akshay Prakash Gaikawad, age 10 yrs. of Bhum (Dist. Osmanabad). We presented this story through media. It’s a great achievement for Ad. Kishor Soni,isn’t it? 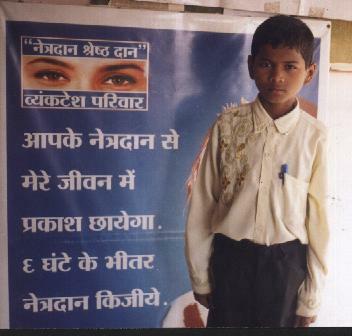 A young kid named Akshay got vision through eye donation. 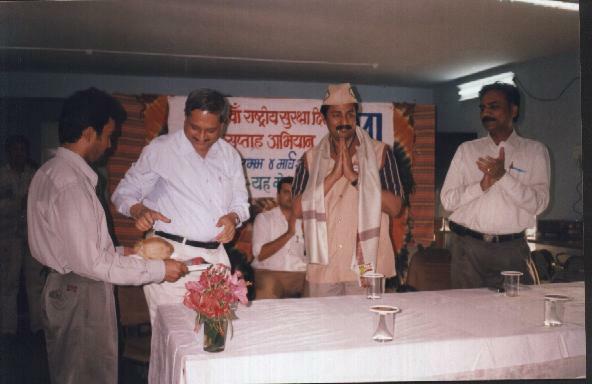 Mr. Kishor Soni (right side) with Akshay & Mr. Prakash Mantri. 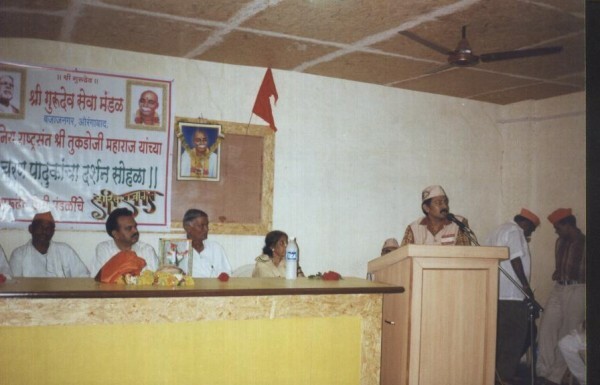 Saint Aasarambapuji’s katha at Aurangabad. Here we distributed more than 1,00,000 pamphlets. Ad. 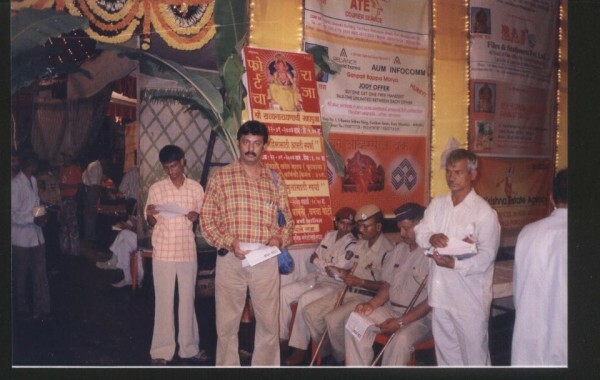 Kishor Soni convincing the people about eye donation at St. Asarambapuji's katha. Here, we tried to motivate 2,00,000 people by distributing 60,000 pamphlets. Mr. Kishor Soni creating awareness at Khadkeshwar temple campus. Shani Ashram at Chikalthana in Aurangabad: Here we distributed more than 5,000 pamphlets on the occasion of Shani Shanti Mahayagya. Mr. Kishor Soni creating awareness at Shanisadhika Vibhashriji's campus. 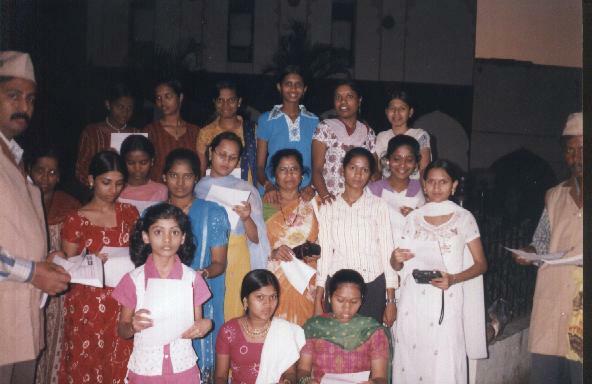 21st Feb. – 2007, Here we distributed more than 5,000 pamphlets. 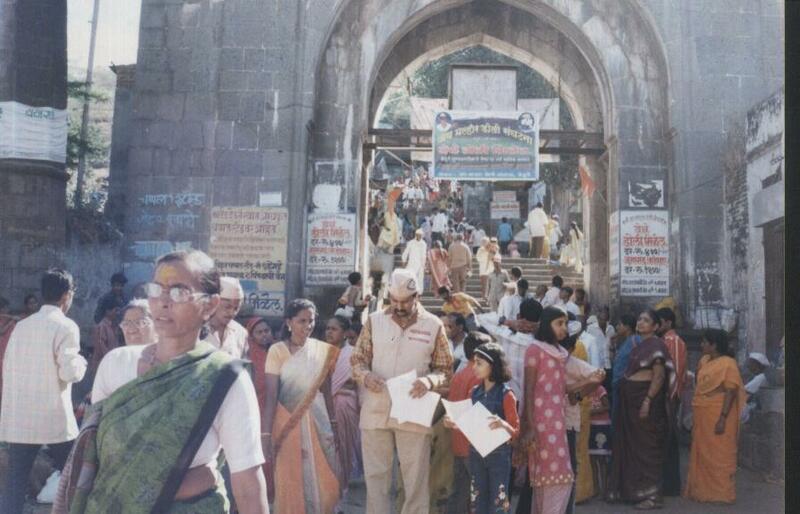 Mr. Kishor Soni at Ranjangaon temple. National Saint, “Aacharya Shri Kishorji Vyas”, appealed to people about Eye donation in his ”3 days speech” at Kanwar Kutiya in Sindhi colony at Aurangabad. Every one will get a powerful vision in their next birth if they donate their eyes in this birth. Vyankatesh Pariwar is doing appreciable nobel work. Help them and join their noble movement of Eye Donation. Here we distributed more than 25,000 pamphlets. 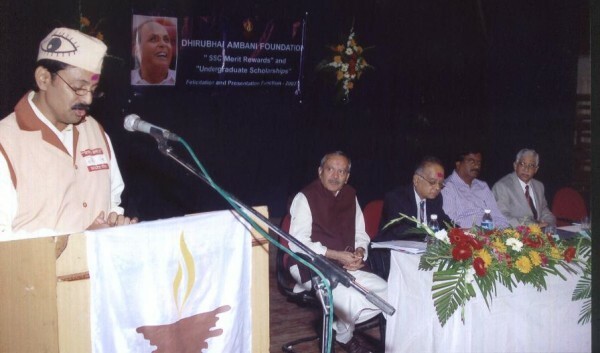 Mr. Kishor Soni creating awareness of eye donation at Acharya Kishorji Vyas's katha campus. 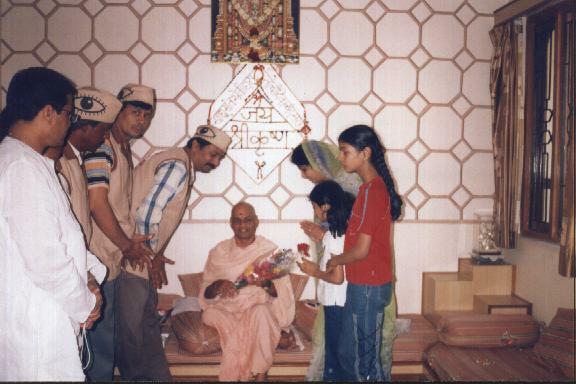 Mr. Kishor Soni with Family & Vyankatesh Pariwar Members taking blessings from Acharya Kishorji Vyas. Here we distributed more than 1,000 pamphlets. Ad. 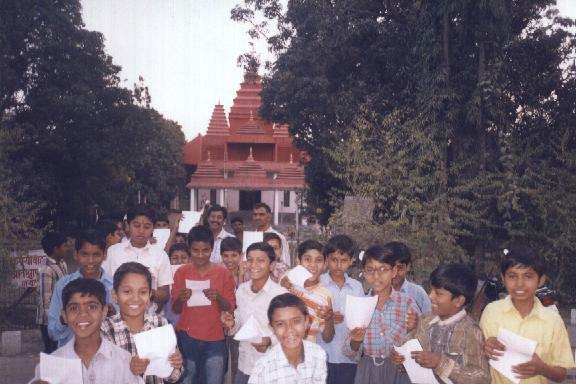 Kishor Soni with a picnic of students at Kalimath temple. A project by Metalman Auto Pvt.Ltd. 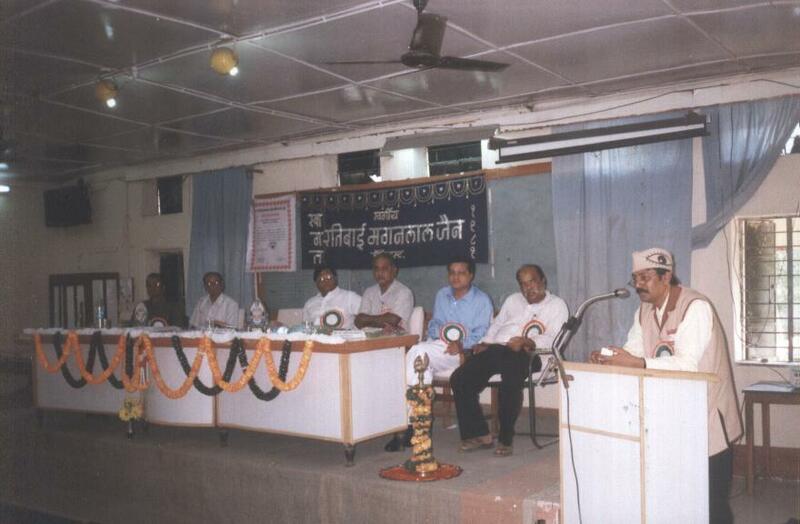 was held at Waluj in Aurangabad. We took a joint project on the eve of ‘Safety Week’. Here, 160 eye donation pledge forms were taken. This project was taken by Mr. Shrikant Mundada, the G.M. of Company. Here we distributed more than 500 pamphlets. Here we distributed more than 20,000 pamphlets. On the meeting with Hon. Alkashriji, we tried to convince her to tell something ’bout our nobel work of eye donation. She directly rejected our proposal. But we didn’t lost hope & moved on. Ad. Kishor Soni explaining info regarding eye donation to Hon'ble Alkashriji. 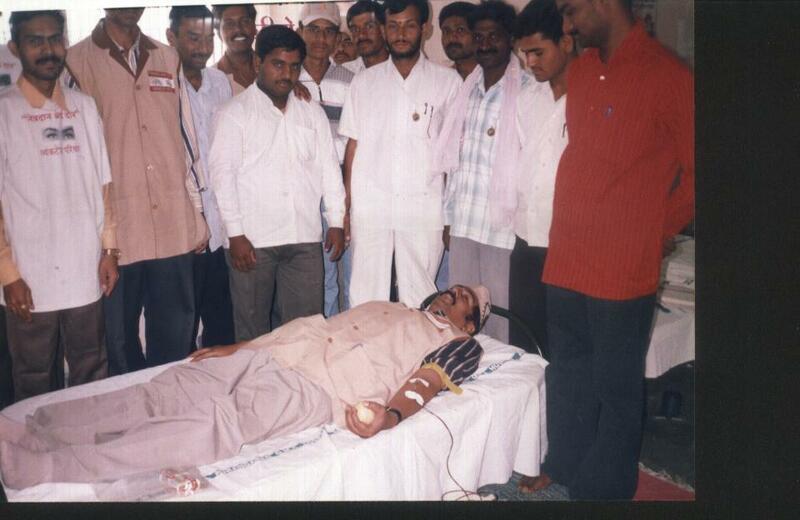 Chief Guest for Blood Donation Camp at khadkeshwar was Ad. Kishor Soni. Organised by Paripurti Bahu-uddheshiya sanstha of Mr. Zumbarrao Kharade. Here too we creat awareness regarding eye donation. 20 people donated their blood on that day. 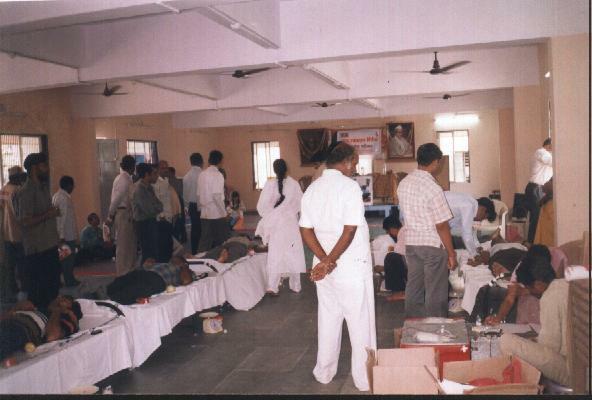 On the eve of Ramnavami, a Blood Donation Camp was held at Swami Ramanand’s Tirth Smruti Kendra. “When city needs blood, we stand there as a need for society”. It was a big successful project. 51 blood donors had donated their blood on that day. Opening was by the Deputy Police Commissioner Mr.K.G.Patil; & the President of Sakal Marwadi Mahasabha, Dr.Darakh; the President of Mahaveer Medical Foundation Dr.Gandhi; the Incharge of Govt. Medical Blood bank, Dr.Patni; the Chairman of Dist. Child Committee Dr.Wankhede; the Vice president of Maheshwari Pragati Mahila Mandal, Mrs.Meena Navander;& the President of Paripurti Bahu-uddeshiya, Mr.Kharade were the chief guests. Kishor Soni at a blood donation camp. World Famous Shanishadhika, Dr. Vibhashriji gave blessings to our project. Mr. Kishor Soni explaining the imp. of eye donation to the Shanisadhika Vibhashriji. 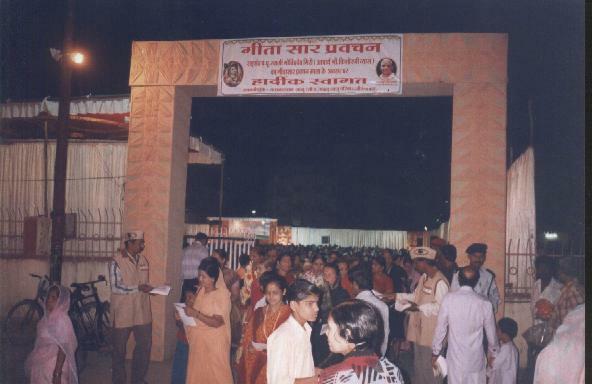 Shani Jayanti: World Famous Shanishadhika- Dr. Vibhashriji was given consent for her eye donation on this occasion by witness of thousands of her devotees. Great job, our journey towards saints and sadhus is getting fruitful. 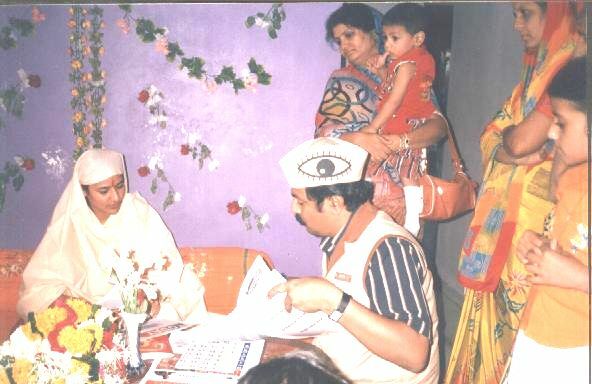 Shri Shanisadhika filling eye donation form. 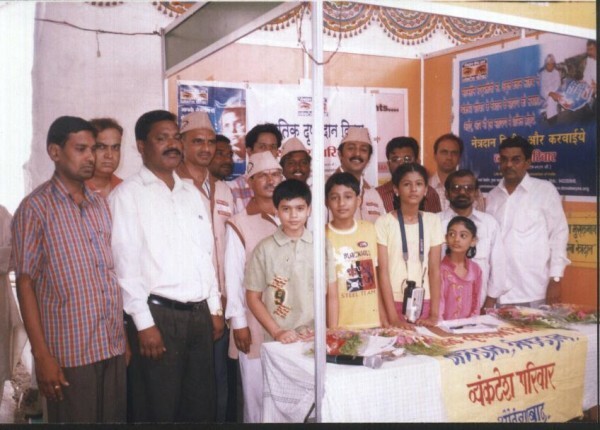 WORLD EYE DONATION DAY: A Whole Day Eye Donation Camp was organized at GYAN’07 Exibition at Tapdiya Natya Mandir in Aurangabad. Vice President of Mahesh bank, Mr. Suresh Kabra ; Campaign incharge of Swabhimaan Mumbai, Mr.Rajendra Aary; the Deputy Engi. Mr. Vishwas Parashar, Mr. Nilesh Satonkar & Mr.Rajendra Aary were the chief guests. Here we distributed more than 5,000 pamhlets. Here 88 eye donors signed their consent letters. There’ll be a traditional project on 10th june for every year. Mr. Kishor Soni giving a speech on eye donation on world eye donation day. All the attenders of the eye donation day celebration. 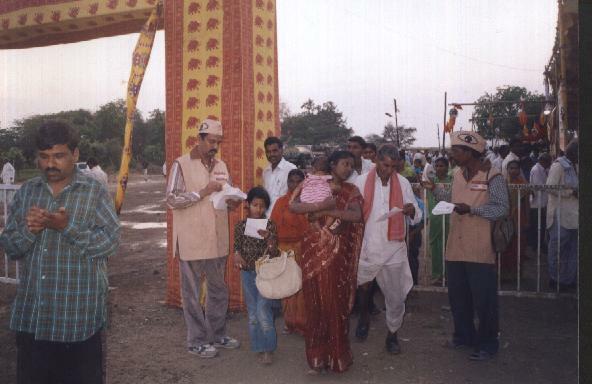 Saint Tukdoji Maharaj Dindi Yatra: Bajajnagar, Aurangabad. 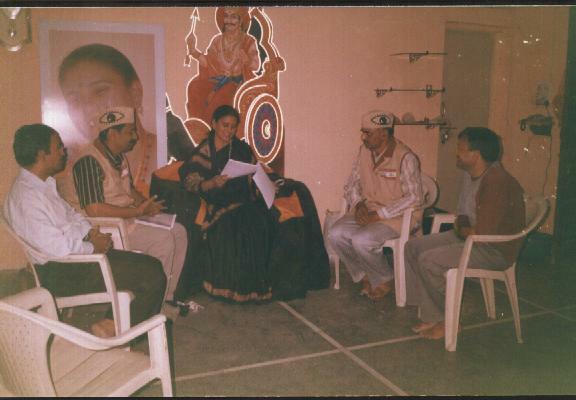 In this programme, 20 minutes were given to us for telling the importance about EYE DONATION to all the devotees . Here we distributed more than 1,000 pamphlets. & 22 eye donors signed their consent letters. Heartly thanks to all workers of saint Tukdoji maharaj. 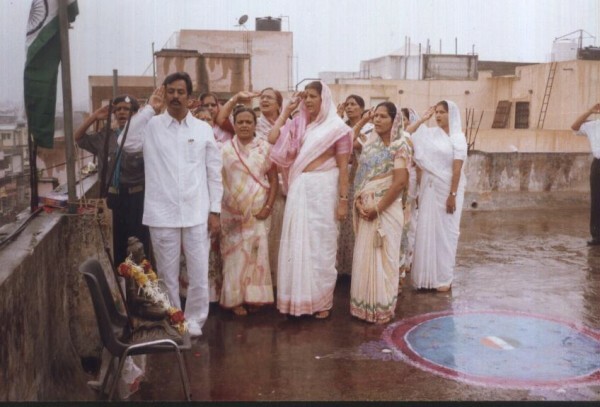 Independence Day: Flag Hoisting & Eye donation awareness programme was held at Mahesh Bhawan organised by Maheshwari Mahila Mandal in morning at 9:35 a.m.. It was a prestigious moment for us. 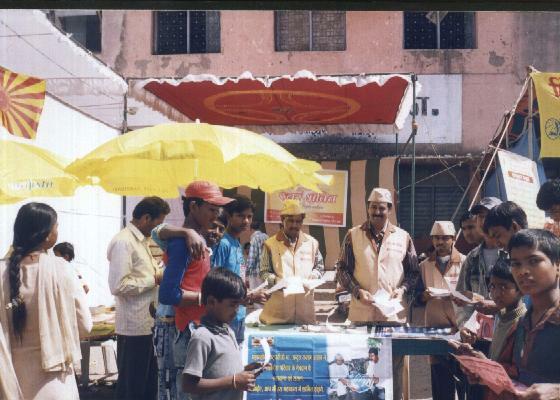 Eye Donation Fortnight celebration:We created awareness in this fortnight by distributing 50,000 leaflets. We took this project at Johnson ‘N Johnson co. ltd.
Dhirubhai Ambani Foundation Programme at Aurangabad: India’s biggest and the richest foundation called us as Guests. We feel it as a great reward for our devotion to this noble work. Here too we appealed to the people about eye donation. Present as the chief guest in this programme, Ad. 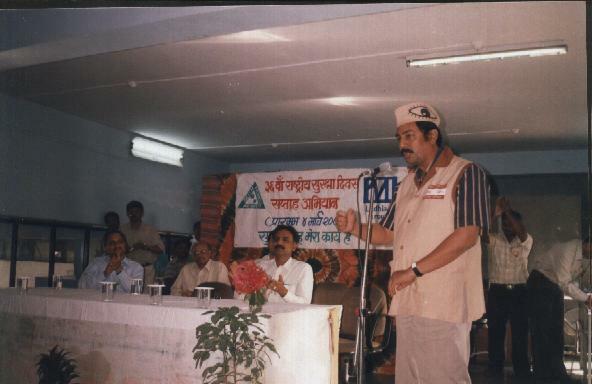 K. R. Soni. Awareness camp at Shirdi Sai baba temple: We believe in shraddha and saburi. 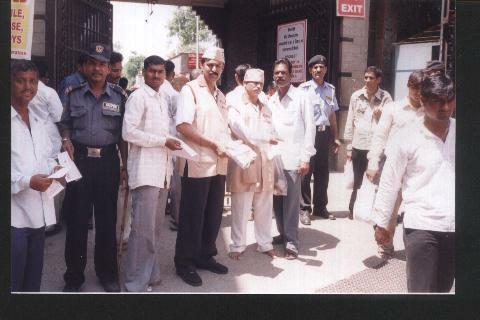 Shri Sai Ram gives us power for this activity.Here we distribute more than 25,000 pamphlets. Radio mirchi also took joint project with us in this whole Ganpati festival. Eye donation campaign at Mumbai: Mumbai is the financial capital of India. If there’s any campaign success in Mumbai, automatically there’s sucess in the whole country. Here we distributed more than 25,000 pamphlets in diff. parts of Mumbai like V.T. Station, Fort area fountain, etc. 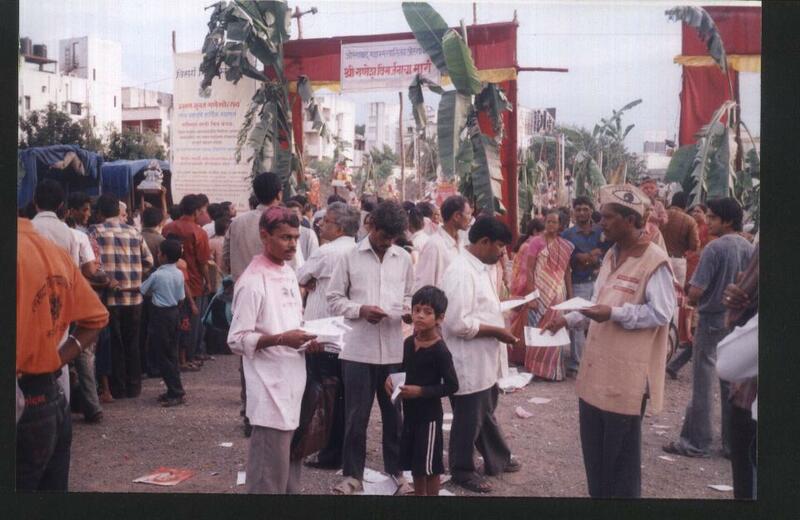 Ganpati Visarjan : Here we distributed more than 15,000 pamphlets. Mahatma Gandhi Jayanti: At Devgadh: Here we distributed more than 500 pamphlets. 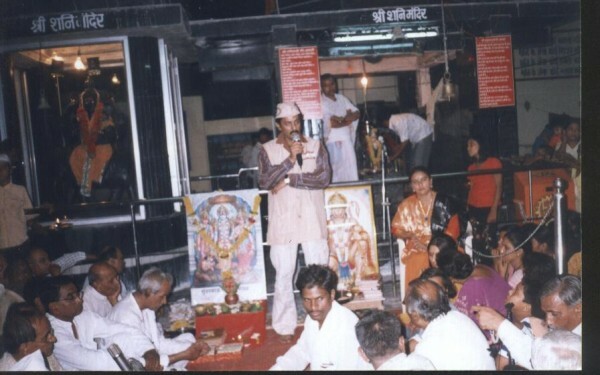 Late Ratibai Maganlal Jain Public Trust, Dhule. 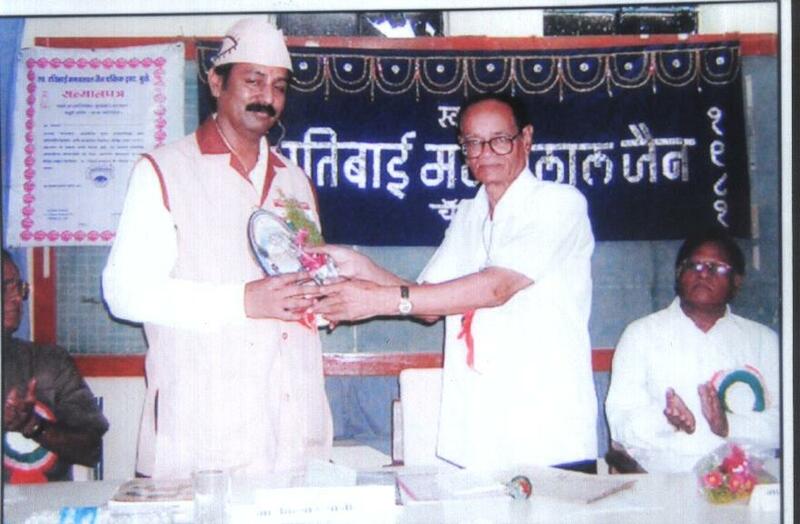 An award was given by this trust to Ad.Kishor Soni. 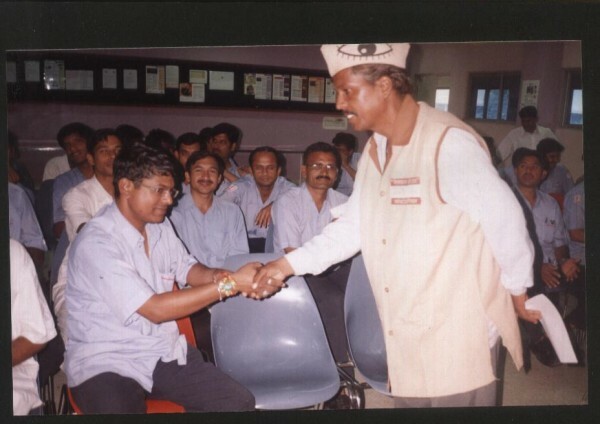 He was the Chief Guest for 101 Eye Donation forms transfer programme to the dist. eye bank. Ashtavinayak Yatra: The 8 Holy places of Lord Ganesha in Maharashtra. Lord Ganesha gives success to every movement. “Well begun is half done”. 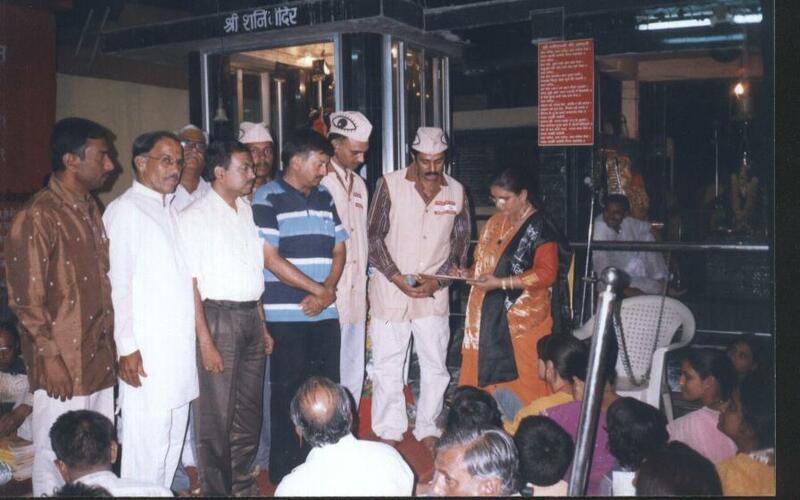 For Awareness about Eye Donation at Ashtavinayak, Holy places & Jyotirling/Bhimashankar. We started from Siddhatek, then Morgaon, then Theur, after it -Jejuri, then Alandi, Mahad, Pali, Bhimashankar, Lenyandri, Ozar and we ended at Ranjangaon. Here we distributed more than 32,000 pamphlets.